Injustice 2, Guilty Gear Xrd Rev 2 and Tekken 7 made 2017 one of the best years for brawler games since a long, long time. So far, it seems that 2018 will have nothing to be ashamed of either. 2017 was arguably the best year for beat’em ups since at least a decade. That was not only due to the fact that we have received such great games as Injustice 2 or Guilty Gear Xrd Rev 2; more importantly, the players’ very enthusiastic reception of these games gave a green light for more brawler projects. While during the last few years only games by NetherRealm – namely Mortal Kombat and Injustice – managed to generate some interest outside their regular fanbase, the sales figures of Tekken 7 have proven that there’s still room for other fighter franchises. The success of those games occasioned a sort of a renaissance of the neglected genre – the game publishers know where the money is, so we can expect lots of brawlers to come out during the following twelve months – among them both high-profile releases from the veterans, who have been feeding new beat’em ups year in year out, as well as more obscure games that will attempt to break into the mainstream and build a fanbase from ground up. The first two games on this list have already been released at the time when this article is published, but we decided to keep them here anyway. This way, we can keep a complete list of fighting games planned for 2018 in one place. 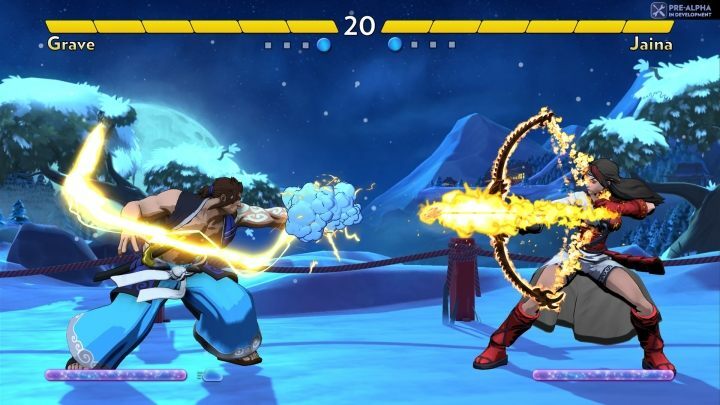 Arc System Works are experts in brawler games for some twenty years, and although some of the installments of the Guilty Gear and BlazeBlue series have never gained much recognition – certainly not compared to Mortal Kombat or Tekken – there are some circles of players, who do hold them in great esteem. 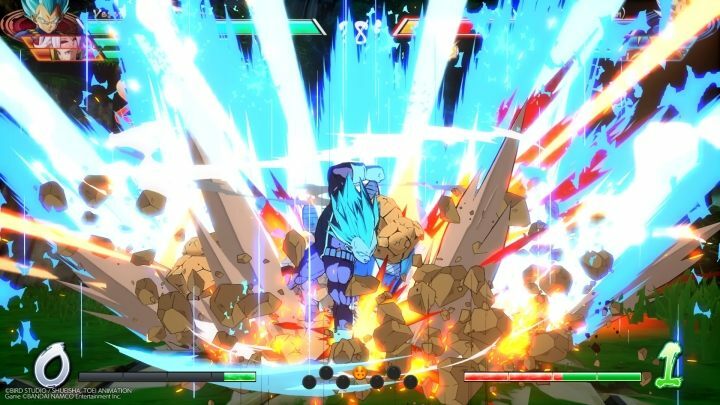 FighterZ has a pretty good shot at becoming the first game by ASW that achieves the level of recognition the studio deserves. The high-octane action of BlazeBlue is combined with the approachability known from the Marvel vs. Capcom series, and the visual effects – using the solutions from Guilty Gear Xrd – make the duels even more impressive than those of the cult anime series. The graphics are actually the main thrust of this game. It’s been much too long since the last proper, full-blown fighter game featuring Goku, Vegeta and the rest of the Z Fighters. 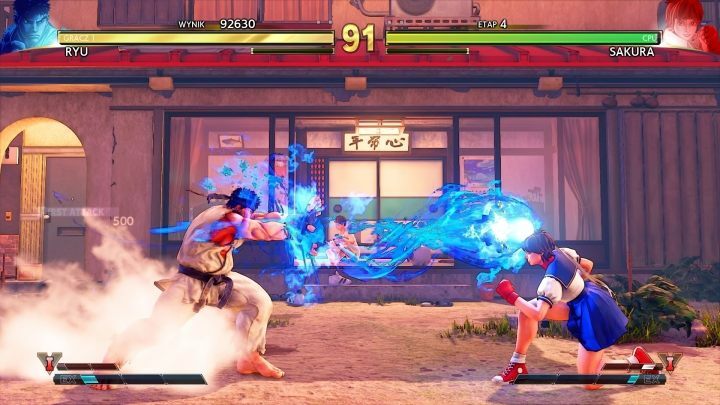 Capcom blew the release of the fifth major entry in the Street Fighter series quite spectacularly, which was of course reflected by the game’s underperformance on the market, save for the e-sport sector, perhaps. Despite that, the Japanese didn’t give up and were hard at work for the last two years, making sure that Street Fighter V will be everything that it should have been from the onset. Arcade Fire is the product of this endeavor – it’s a gigantic update that will further improve the game’s combat system and introduce a ton of additional tweaks along with more game modes – including the long-anticipated Arcade Mode. New players will have access to each of the game’s 28 characters, including the twelve fighters that were added in DLCs in the past two years. The previous installment in the series – Soulcalibur V – apparently caused so much confusion with the 20-year fast-forward and the discharge of most of our favorite characters, that the devs decided there’s no point even trying to explain all that. Instead, the VI goes back all the way to the first Soulcalibur and expands that game’s story with new threads. Most of the characters will return – the developer already announced Mitsurugi, Sophitia, Nightmare, Xianghue along with Kilik as well as Groh – the duo will be making a debut appearance; the character selection screen seems to suggest there’s going to be a total of twenty fighters. The core of the gameplay is still going to be melee-weapon combat, although slightly more spectacular. 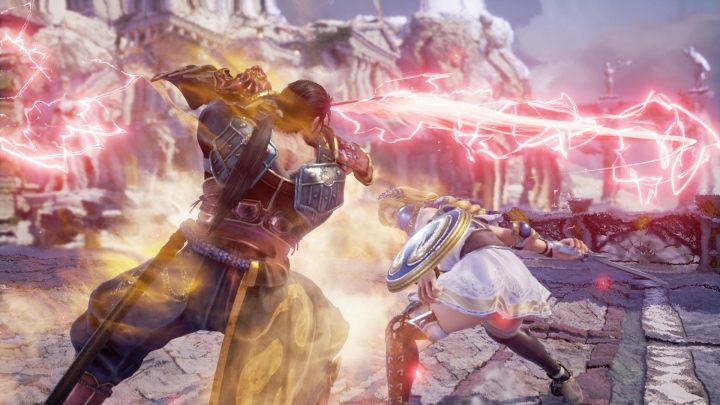 Soulcalibur VI will also feature a system of blocks that will be more approachable for beginners, allowing them to stand a chance against a veteran… for a few minutes longer. The BlazeBlue series’ spin-off will feature fighters from four different franchises: Blazblue and Persona 4 Arena (both by System Works studio), as well as Under Night In-Birth and the popular anime series, RWBY. 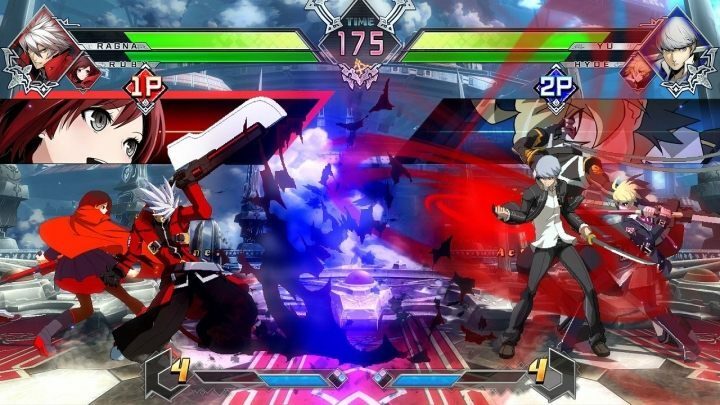 Cross Tag Battle will combine the mechanics of all of the above games, while obviously modifying them so that they can actually work in the same environment. Interestingly enough, the matches will feature four characters – similarly to Marvel vs. Capcom or Tekken Tag Tournament. Unfortunately, this exciting pieces of news turn a bit pale when you consider the distribution policy – half of the forty characters will be available only as purchasable downloadable content. A long time ago, when the main installments of Street Fighter were still stuck in two dimensions, Capcom entrusted the Arika studio with the creation of a 3D spin-off to the series. 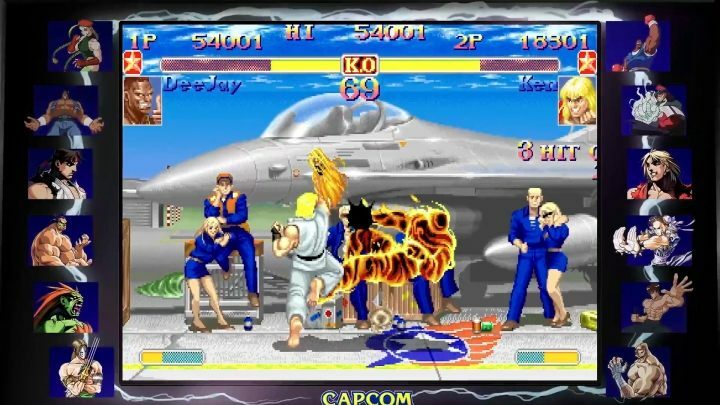 That was the inception of Street Fighter EX, which resulted in a whole series of successful games that – apart from standard Street Fighter characters – also received a few unique fighters. However, once the core Street Fighter games finally entered the third dimension, the cooperation with Arika was terminated. 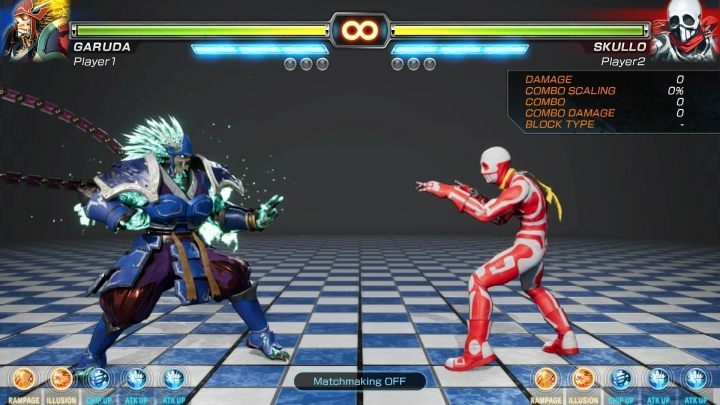 The studio lost the rights to the street fighters… but at the same time has preserved the rights to its own characters – Skullomania, Garuda or D. Dark – these are the avatars we’re going to control in Fighting EX Layer. Apart from that, the game will also feature a welcoming combat system and a few unusual mechanics, such as the ability to chose special modifiers before the fights, which will influence the combat abilities of your fighter. 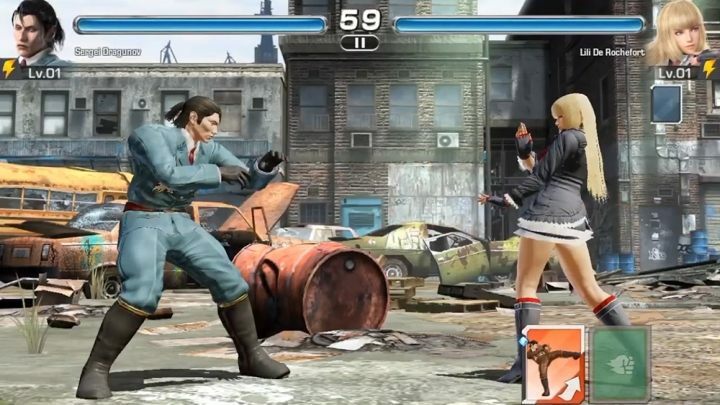 Another romance of the Tekken franchise with the free-to-play distribution model will allow the players to beat the living soul out of their opponents on their mobile devices. Since the game has to support touch screens, the combat system was simplified in a major overhaul – the game is two-dimensional, there are only two types of blows (strong and normal), while more advanced combos can be used by playing cards from your deck. Filling up the pool of fighters, randomly awarded for progressing in the game, is going to be the force propelling the gameplay – there will be over 100 characters; some of them returning and some completely new. Add to that a simple story campaign, skirmishes with teams selected by other players, daily challenges… and of course many opportunities to make things a bit easier with microtransactions. The game won’t be a substitute for “big” beat’em ups, that’s for certain, but it might just be enough to make traveling to work or school a bit more entertaining. Capcom remastered its hits before it was cool, so it hardly came as a surprise when another Street Fighter collection was announced – this time, the justification is the series’ 30th anniversary. Compared to previous compilations of the kind, Street Fighter 30th Anniversary stands out with the amount of content – the package will include no less than twelve games: the first Street Fighter, five editions of Street Fighter II along with three iterations of both Street Fighter Alpha and Street Fighter III. Four of the above (Street Fighter Alpha 3, Street Fighter II: Hyper Fighting, Super Street Fighter II: Turbo i Street Fighter III: 3rd Strike) will be enhanced with a multiplayer module, and the whole set will be completed with bonus galleries, soundtracks and character bios. That’s a wholesome package right there. SNHHTTF (yeah, I know…) is another crossover focused on 2v2 matches. Here, pitted against each other will be the characters from other games by SNK, such as King of Fighters or Samurai Showdown. 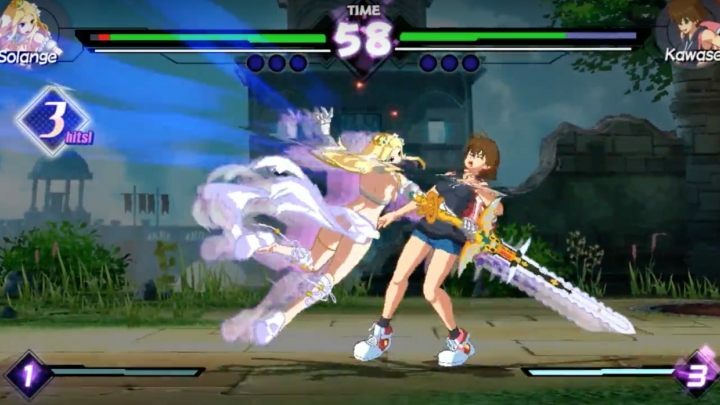 However, the game will include only female fighters, whose looks can be customized with items collected during the game. As concerns the mechanics – it won’t be enough to merely deplete the opponent’s health bar: only a special attack can finish a match. The game will also be quite friendly towards rookies – the super finishers will be accessible with a single button. And yet another crossover, which this time is employing the characters from the Cave Story and Umihara Kawase platformer games and the Code of Princess action game. The combat system was inspired by the Super Smash Bros., thanks to which the learning curve will be very accessible for most players. On the downside, there will only be 10 fighters to choose from, but in exchange we’ll get more game modes – including a story mode and special missions. The game features pleasant graphics – 2D characters are combined with 3D backgrounds. Beneath the simple, but at the same time quite enjoyable 3D graphics of Fantasy Strike, hides a game created with the “easy to learn, hard to master” principle in mind. Delivering punches is extremely simple – super attacks can be performed with a single press of a button, and lists of each warrior’s attacks fit on just one screen. The game is, however, supposed to offer numerous advanced mechanics that will promote a more tactical approach – including traps, counterattacks and throws. 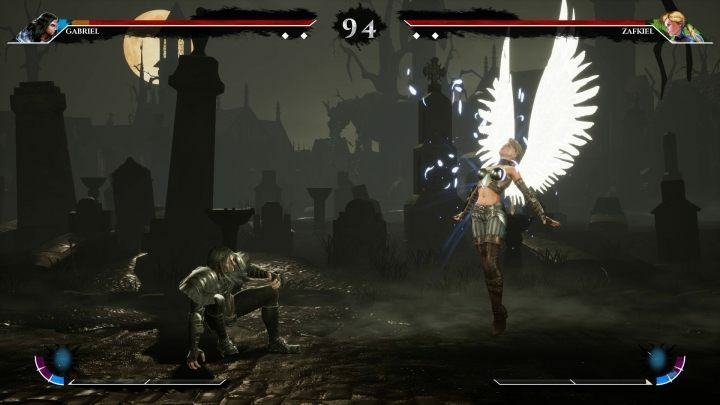 AOne Games debut project’s most compelling features seem to be the dark setting, somewhat reminiscent of the Mortal Kombat series, and interesting characters – the game is set in a dismal, 18th-century Europe, and the twelve available fighters were based on figures from myths, legends and horrors. We’ll be able to choose a succubus, werewolf, the Frankenstein’s monster and even Dracula himself, to name just a few examples. 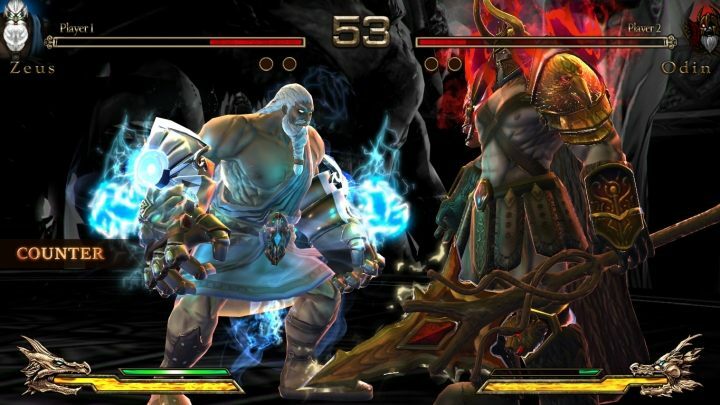 The controversial Fight of Gods’ full version wasn’t even released yet, but the game already managed to completely overload Steam servers in Malaysia. What are the controversies are we speaking of? Well, not every government in the world was happy to hear about a game, where gods and saints (including the Santa) of different religions fiercely battle against each other on different arenas. Apart from the unusual pool of characters, the game unfortunately doesn’t seem to have much more to offer – the developers will have to work really hard in order to make sure their game is remembered for execution as well as the idea. One brawler game each moth, on average… the genre hasn’t experienced such abundance of new releases in years. Along with the big shots, such as Dragon Ball FighterZ or Soulcalibur VI, there’s a whole bunch of smaller IPs coming from more obscure studios, which, nevertheless, all have an appetite for a big success. Even if only half of them will ultimately deliver, 2018 is already sure to bring with it more slugfests than any other year in recent memory. Let’s just hope they’re all virtual.